Ultrasonographic imaging is an important tool for the diagnosis of many diseases. Ultrasound uses high frequency sound waves to obtain high quality real time images of the organs within the abdomen and chest. This non-invasive imaging technique can be used to measure the size of an organ, see the blood flow, and to detect tumors and assess organ function. 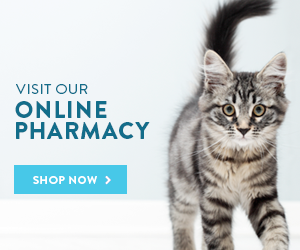 This important tool enhances the doctor’s ability to diagnose disease and help your pet feel better. 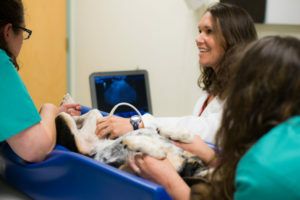 Here at Schwenksville Vet, our own Dr. Anna McEvoy has been interested in this diagnostic procedure since she became a veterinarian over 10 years ago. She has pursued advanced continuing education on this topic. We also offer the latest technology in digital radiographic imaging. Radiographs (x-rays) are another non-invasive imaging technique used to assess internal structures and organs.